Standing before an open window, a woman gazes at black clouds darkening the horizon. She loves two menthe one who shares her present, and the one who marked her past. Frozen, she struggles against surging memories evoked by objects, the skyeverything. In the clouds, a passionately intertwined couple appears. The first professional auteur short film by young French filmmaker Justine Vuylsteker, Embraced is a bittersweet visual poem that evokes fleeting sensations. With subtlety and sensuality, Vuylsteker reveals both the ruins of a relationship and traces of an intimate bond with an artistic process: the legendary pinscreen. Invented by Alexandre Alexeieff and Claire Parker (Night on Bald Mountain), this animation technique has an eminent pedigree that includes being put to use by great NFB filmmakers such as Norman McLaren, Jacques Drouin and Michèle Lemieux. 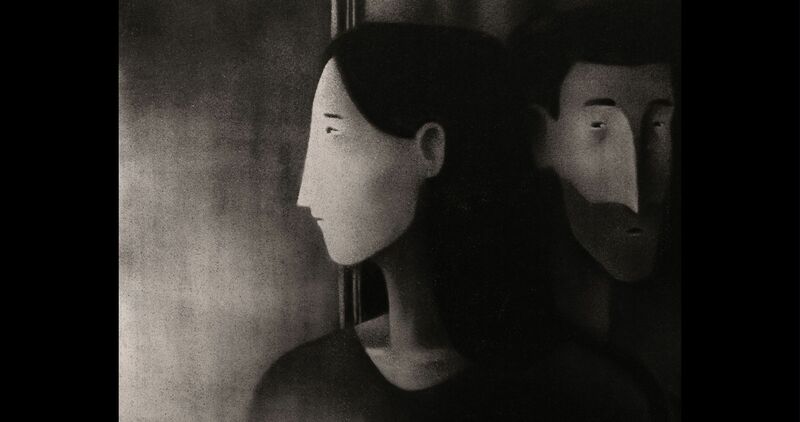 Embraced, a coproduction of Offshore (France) and the NFB, is the first film made with “The Épinette,” owned by the Centre national du cinéma et de l'image animée (CNC) and the twin of the NFB's own pinscreen. Vuylsteker has used it to express the passion of love and the dizzying struggle between remembrance and oblivion.